Yesterday was my 23rd birthday and here are some photos of my day!!! I would firstly like to thank everyone for all the amazing birthday wishes! You are all so sweet. I'm going to make sure to respond back to everyones comments tonight, I appreciate all of them so much. My day started off with the usual breakfast in bed, that my parents always make for my siblings and I on our birthdays. I will definitely continue this tradition with my children, because it is always something I look forward to. 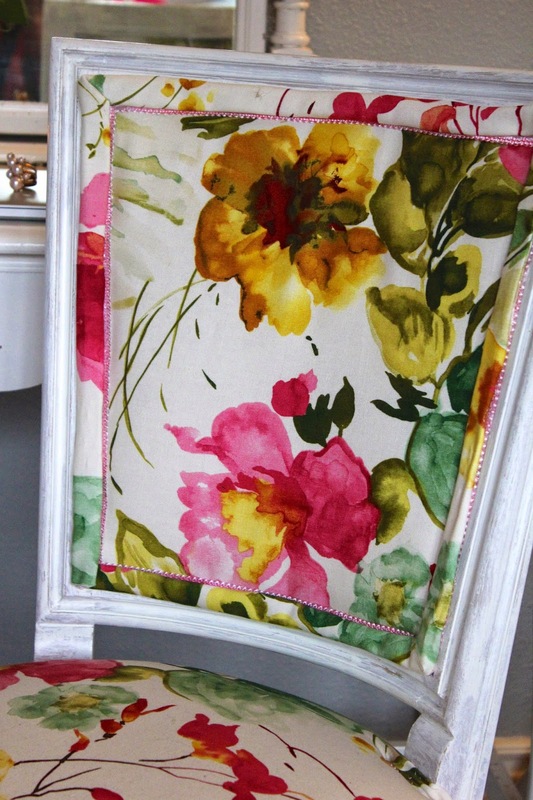 I'm so excited to share with you this amazing chair my mom reupholstered for me. I'm in dire need of an office but, my bedroom will have to work for now. I turned my makeup table into my desk, and I was in need of a chair for my desk, so my mom surprised me with this one. 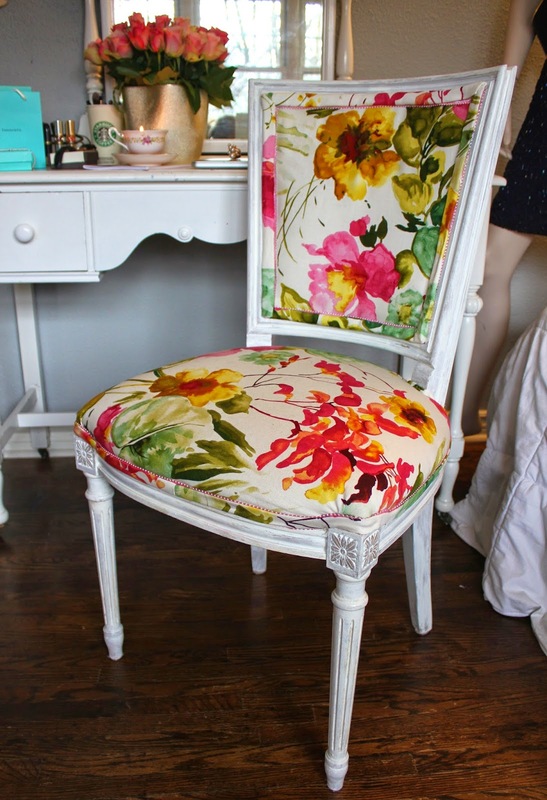 She bought this old chair, which had brown wood, with some gaudy fabric, and reupholstered and repainted it to look like this!!! The best part is the custom Treats and Treasures logo on the back. She somehow sketched and painted this on. My mother is truly amazing. My birthday was spent like any other birthday, relaxing with family. The best! Happy b day! :) and beautiful chair! The breakfast looked quite yummy! Great tradition. The chair is so vibrant it can light up any room!